Starting in January of 2013, NSW taxi drivers will be required to wear seat belts, ending a 41 year exemption for taxi drivers that has been in effect since the seat belt laws were passed. 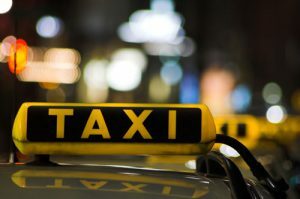 This new law is just one of many steps that are being considered and undertaken to provide safer worker conditions for those who drive taxis. Prepayment of fares prior to passengers getting into the cab. Other Strategies to improve both taxi driver and customer awareness of security and safety in taxis. Road Minister Duncan Gray states that unions and taxi associations were consulted before making the change. Such changes when implemented will make the job of a taxi driver safer not only from accidents but from assaults as well. It is a move in the right direction, to help improve safety for those who don’t work in more conventional jobs, where safety is more easily maintained as workers mainly work in one location, or under one specific supervisor. This move to ensure taxi driver safety combined with the added safety measures taken by police to ensure road safety during school holidays are all part of an effort to make the roads of Australia safer for everyone. These efforts to improve safety on Australia’s roads could result in literally hundreds of lives being saved each year. Owners and operators of other businesses and the public can also do their part to decrease those highway fatalities on Australian roads. Businesses can emphasis safe driving practices to their employees both when on the job and off. They can also be alert to worker fatigue and have a place where a fatigued worker can rest before heading home at the end of a long workday. The public can follow seat belt laws, stay alert when driving, and remain within posted speed limits. When on long trips, stop frequently to rest for a few minutes before continuing on and don’t drive when you are tired or under the influence of liquor. If everyone works together, Australia can become a nation of safe driving and save lives in the process.